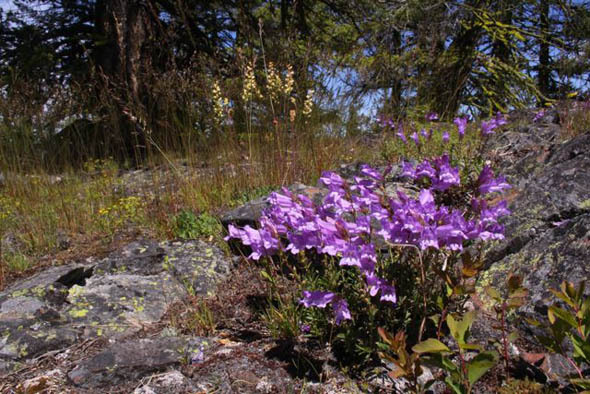 In glorious sunny weather, the new Nicola Naturalist Society held its first field excursion on Saturday 26 June. Nineteen people turned out to go birding and botanizing, including four visiting naturalists from the U.K. 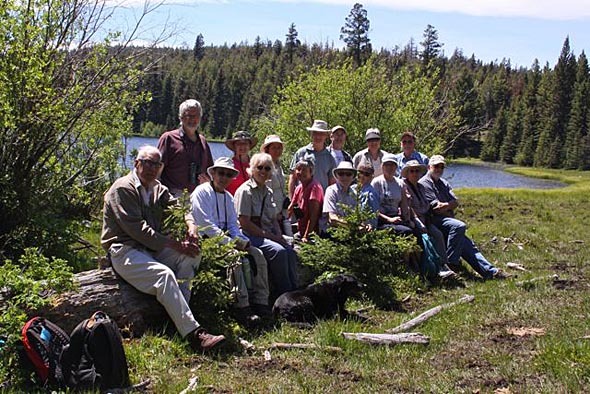 The group explored three areas in the Kane Valley, focusing on the higher meadows, forests and lakes. With bird breeding in full swing, the birders found plenty to focus their binoculars on and ended the morning with a tally of 43 species. 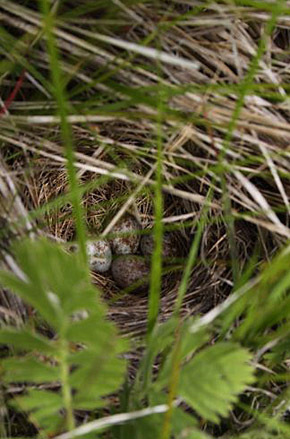 Active nests were found of Mountain Bluebirds, Tree Swallows, and Vesper Sparrow and many other species were singing, displaying or carrying food to chicks. A highlight was the discovery of the nest of a rare American Three-toed Woodpecker with large noisy chicks almost ready to fledge. 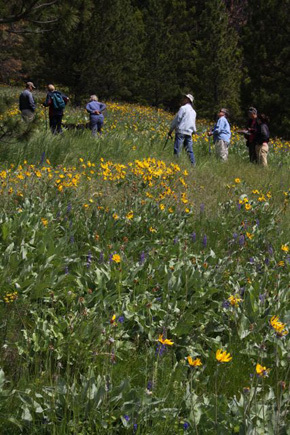 The wet spring has meant an abundance of wildflowers, especially on the high grassy meadows. The final highlight of the day was the bold appearance of a Sora Rail. Normally a very secretive marsh bird, this one emerged from the dense lakeside rushes to call and display as the naturalist group was having lunch.